All PLEASANT VILLAGE homes currently listed for sale in Provo as of 04/18/2019 are shown below. You can change the search criteria at any time by pressing the 'Change Search' button below. 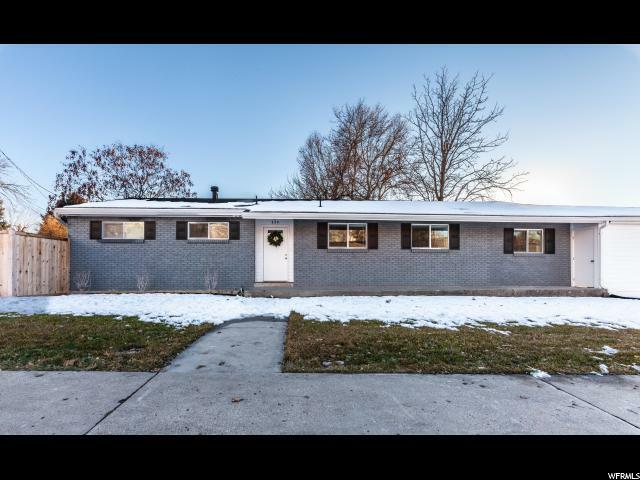 "Amazing Remodeled Rambler in walking distance to the BYU Football Stadium and Rock Canyon Elementary. Brand new Kitchen with quartz counter tops & stainless appliances that connects to large open family room. Main Floor Master Suite with luxurious shower and walk in closet. New Flooring throughout, new windows, new roof. Home features 4 bedrooms, 3 baths. 100% finished basement. Back yard is great for entertaining with large patio, mature frees and some new fencing. This home has been used as an Air bnb and rents very easily with its proximity to BYU and Provo Canyon. Located within BYU housing zone. Call for a showing today."